The seven-stage Invisalign express treatment option is designed specifically for very minor Crowding and Spacing cases. Similar to other Invisalign aligners, Invisalign Express improves the appearance of teeth through the use of invisible aligners. However, Invisalign Express offers you aesthetic improvements and Treatment of relapse and minor movement. Invisalign Express includes 7-stages of tooth movement limited to first premolar to first premolar movements. Depending on your clinical needs, Invisalign Express is offered in dual- or single-arch treatment. How do I get Invisalign Treatment? The Treatment Involves visits to Our Practice. Book a free, no obligation appointment with our Specialist Orthodontist Aman Ulhaq, who will perform a thorough evaluation of your oral health and tooth placement, including digital diagnostics as needed to assess whether or not treatment is right for you. Depending on the severity of your bite problem and cosmetic goals, he will recommend the most suitable treatment option. The goal of treatment is to improve both the aesthetics and function of your smile with lasting results that will support long term dental health. He will take photos, X-rays and digital scans, or a dental impression, of your teeth. If he determines that you are suitable for treatment then these records will be used to create a Clincheck® 3D treatment plan, just for you. Once the ClinCheck plan is approved, Invisalign will then make a series of custom made aligners for your teeth-and your teeth only-to move them little by little until the final position of your teeth is achieved. You wear each aligner for one-two weeks, before moving on to the next aligner in the series. Treatment length will vary depending on your case, but the average Invisalign Lite treatment time will be around 7 months. We will see you for a progress review after every six to eight weeks and you will then receive your new aligners. Each aligner will move your teeth little by little, week by week, until your teeth reach the desired position. At Frederick Street Dental Care, for patients looking for fixed braces orthodontic treatment, we offer other braces systems such as Win Lingual Braces and Ceramic Clarity Advanced Braces. We provide 12 Months 0% Finance on all Cosmetic treatments over £1000 allowing you to spread the cost of your treatment without interest and can start your treatment now or you can Pay As You Go for the cost of your treatment. Finance can be arranged within a few hours during normal office hours by sending the completed application form to Braemar Finance. FREE Teeth Whitening Home Kit (worth £299) as straight teeth look even better when they are whitened. Frederick Street Dental Care is Open 7 Days a Week, so that you can have your Invisalign Treatment without having to take time off from office. 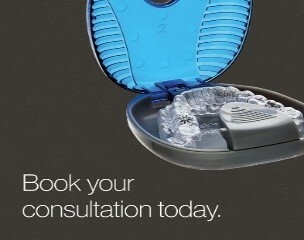 Book a FREE INVISALIGN CONSULTATION by calling us on 0131 629 1158 or emailing us.